From the publication of the first issue in the summer of 1971 Bike magazine has been evolving. We’ve just published issue number 485, and it’s very different to issue 484. There’s a big, new section in which dealers, mechanics, tour guides, tyre fitters and riding instructors can pass on pearls of wisdom. In this issue you’ll find expert advice on buying the best used Fireblade, on sports touring tyres, on steering, on how to service your brakes and on where to find the best road in southern Spain. 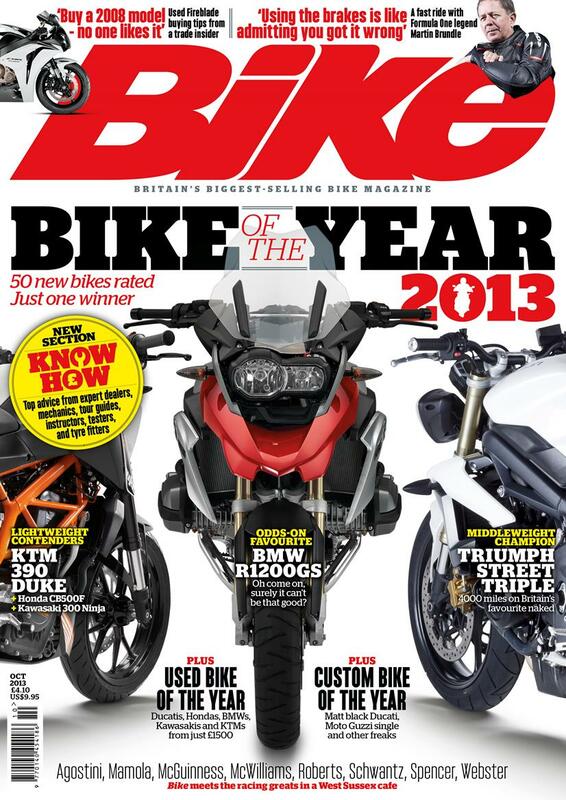 What’s been consistent since that first issue of Bike is our commitment to the breadth of the motorcycling world. From new bikes to classics, racing to travel, off-road and tarmac it’s all here. This month we’re in the café at the Goodwood Festival of Speed and riding across the border between Turkey and Georgia, we’re showing off the year’s ten best custom bikes and riding a BMW R1200GS to Scotland.